I've heard of emotional support animals before but not emotional support plants. Japanese multinational company TDK has created an artificially intelligent and interactive bonsai plant, with the ability to offer emotional support, and aptly named it BonsAI. Sort of like an iRobot Roomba vacuum cleaner, the plant features a soil sensor, a miniature camera to control its movements, and an LED panel to convey its emotions. The plant searches for sunlight by itself using an axis sensor and the LED lines integrated into its pot lights up signalling its satisfaction. BonsAI is part of TDK’s Attracting Tomorrow project which hopes to develop tools and content to bring us closer to the future. The plant is in the conceptual stage at this point with no official statement on release dates. 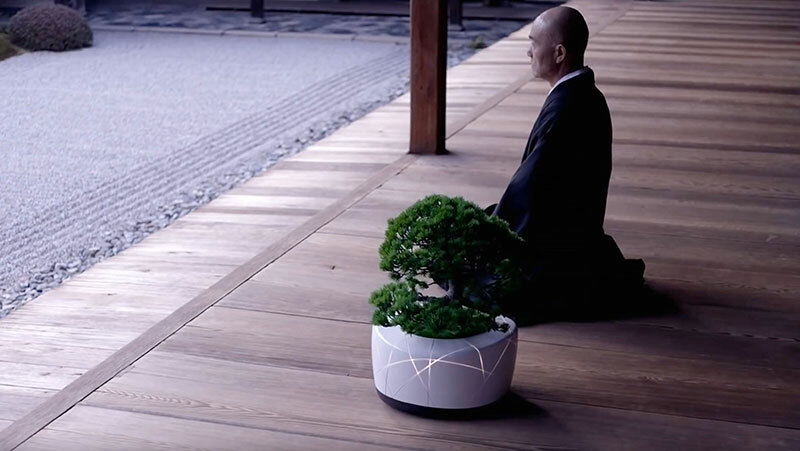 Japanese multinational company TDK has created an artificially intelligent and interactive bonsai plant, with the ability to offer emotional support, and aptly named it BonsAI.